If you’re a WordPress designer, or build sites for clients, you’ll definitely be interested in these 3 WordPress deals. We are featuring an awesome Advertising plugin and WordPress themes with significant discounts. So don’t miss out! WordPress Advertising Plugin. Only $24! If you have ever run advertising on your WordPress blog you know how difficult it can be to place and manage your advertising placements. Unless you’re a programmer, it’s virtually impossible to place ads into your theme (exactly where you want them) or rotate banners. WP Adcenter handles all of this and more, including: managing campaigns, easy ad placement, and even selling ad inventory and accepting payments with PayPal. You can run unlimited campaigns, unlimited ad zones, and even get detailed statistics. In fact, we liked WP Adcenter so much, we bought the full developer license to run across all our sites! 10 Pro WordPress Themes for only $29! Here is a smoking deal from 7theme.net you simply can’t pass this one up. You get 10 premium WordPress themes, with commercial license, and full support. That works out to only $2.90 per theme! Get Any 2 Themify Themes for $34! Readers, what do you think? 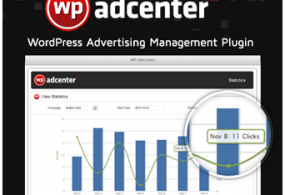 Have you used the WP Adcenter plugin? Have you tried Themify or 7deals.net themes? Let us know what you think.